When my positive review of Mega Man 11 dropped, there were sighs of relief, gasps of disbelief, and memes. The most prevalent in the latter category was definitely the fixation on Mega Man's new boss door animation. 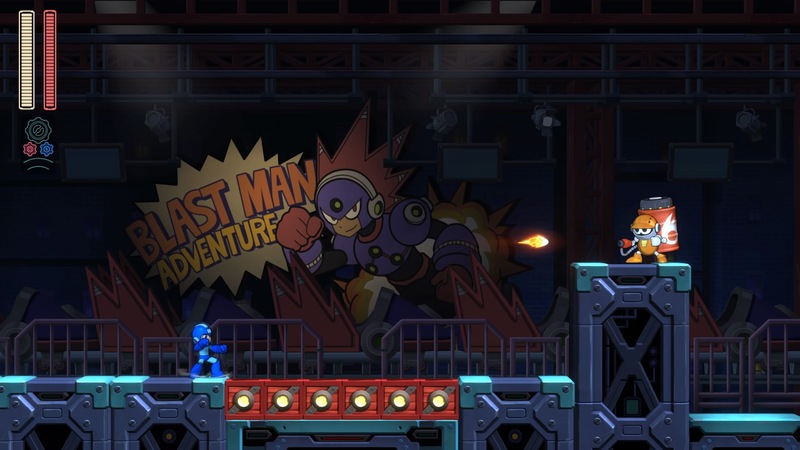 You see, in the past Mega Man would hold his pose when jumping or sliding through a boss door. It was a fun little mini-game where you could try to get him to strike different stances, like him leaping through the gate ready to face down a boss with his arms extended, or with his fists over his face (a pose possible in later games that I would dub "the crybaby"). In Mega Man 11 that wasn't possible as our hero would drop to the ground instantly, reset, and walk through. In the most recent issue of Game Informer, producer Kazuhiro Tsuchiya addresses this complaint, though his response isn't going to be good enough for most of you. Speaking to the magazine, he notes that since there are areas in the game that are "connected by horizontal shutters placed in the floor," they "unified" the movement to course correct. Tsuchiya goes on to explain that "if players were to slide onto the shutter, they would then fall into the area below in the same pose, which would be unnatural." So it was a technical reason, I guess, one that we can barely even label as a fault given how great Mega Man 11 was. Maybe they can rectify it in Mega Man 12?